Get more for your experience. You’ve earned it. Experienced drivers know to look beyond cents per mile and slick-sounding advertising. You want consistent weekly paychecks. You want pay packages designed to fit the exact work you do. You want comprehensive benefits that protect you now and in the future. You want your experience and longevity to matter. Look no further. You’ve found it all here, and it all adds up. Start with higher pay based on your experience. We offer many different pay packages, each valuing your experience level, where you live and the unique type of driving job you choose. Custom pay packages plus performance pay means you’re rewarded for your work, and weekly pay means you can easily manage your cash flow. Each driver job posting describes pay, and a recruiter (800-44-PRIDE or live chat) is happy to describe more detail for a specific job. One of the leading driver retirement plans in the industry is available on your date of hire. Contribute 1-50 percent of your eligible pay and Schneider matches $.50 on the dollar match for the first 4 percent and dollar for dollar for 5 and 6 percent. Choose pre-tax, Roth post-tax or combination plans. Schneider offers medical/prescription, dental and vision plans with optional participation and coverage available for your spouse and dependent children. Medical/Prescription: Enjoy reduced premium incentives, an additional Health Reimbursement Account deposit for wellness and a low $10 copay for virtual visits. Dental: Standard preventive care is covered at 100 percent by Schneider, and the plan includes basic and major restorative care such as fillings, crowns and bridges. Vision: Coverage includes company-sponsored annual eye exam with $10 copay and a materials plan with allowance for prescription glasses or contacts. Flexible spending: Put aside pre-tax cash from your paycheck to pay for non-reimbursed medical, dental, vision and dependent care expenses. Hospital indemnity: Get paid cash directly if you’re hospitalized with this new optional plan. You’ll also get paid time off for funeral leave (up to three days), jury duty and required military training and service. After five years of service with Schneider, you’ll automatically be admitted into the prestigious Advantage Club, which recognizes your hard work and loyalty. Club members have the opportunity to attend a variety of events, such as NFL games or NASCAR races, dinners and many other unique opportunities — all paid for by Schneider, to include travel, hotel and food. You’ll also be able to choose from many unique gifts at milestone anniversaries. Facility amenities: Free laundry, showers and concierge-like hospitality through Driver Services across our nationwide facility network ultimately helps you take home more of what you earn. Discount programs: With our buying power, we can pass along discounts from hundreds of companies, including everything from home and auto insurance discounts to savings on cellphones, vehicles, restaurants, concert tickets and more. Passenger program: Take a loved one out on the open road with you. Eligible passengers include friends over the age of 18 and immediate family members over the age of 10. 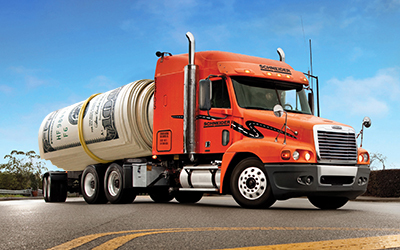 Truck specs: The equipment you drive ultimately impacts your livelihood and your bottom line. 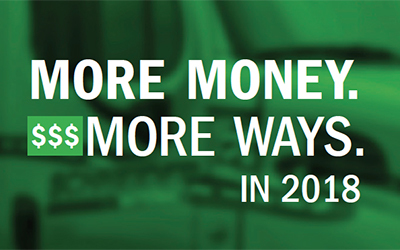 Our equipment and technology helps you keep more money in your pockets. Financial, legal and adoption benefits: Get access to free counseling sessions for personal and relationship issues, resources for child or elder care, and legal and financial advice. You can also receive up to $4,000 one-time reimbursement for eligible adoption expenses of a non-related child, age birth through 16 years. Military service benefits: We’d like to show our thanks for your service through our robust military program, including guaranteed time off for military training, differential pay and more. Driver referral program: Earn up to $3,000 for each company driver or owner-operator you refer who joins Schneider — the connections you’ve established are about to pay off big time! 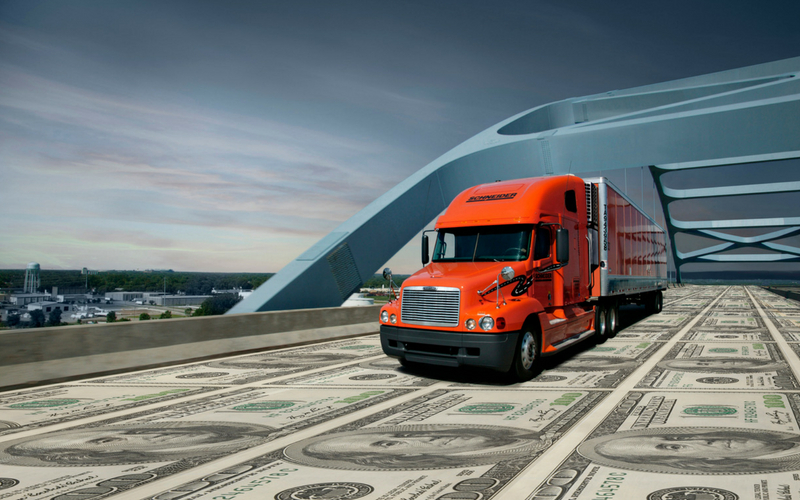 Schneider’s driver referral program literally gives you unlimited earning potential. Commuter benefits: Purchase parking or transit passes online with no hassle, with pre-tax paycheck deductions.